Starting a new blog site, it seems appropriate to be a bit retrospective. Twenty years ago I applied for a two year contract with Highlands and Islands Enterprise, and HIE launched their new Arts Strategy, which would become the bible for my work in HI~Arts, for a lot longer than just two years. It seems somehow symbolic, therefore, that this is also the 20th anniversary of the publication of the Charter for the Arts in Scotland. Partly because its author, Joyce MacMillan, has played such a significant role in the current debates around Creative Scotland, and funding for the arts in general in Scotland, and partly because of wider discussions about how such policies should be developed. I was a fairly junior officer of the Scottish Arts Council at the time of the Charter’s creation, but I happened to be one of the SAC’s representatives at an initial meeting with English colleagues who were exploring the idea of an integrated, UK-wide approach to taking stock of the state of the arts. It was largely down to the initiative of the SAC’s then Director, Seona Reid, that what then evolved in Scotland was something very distinctive, and wholly separate from any comparable English exercise. 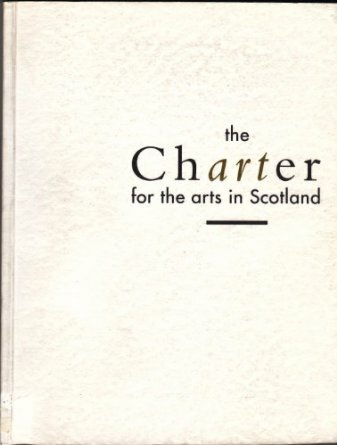 For one thing, although ultimately entitled ‘The Charter for the Arts‘, the document was prepared by a steering group that included the heads, not just of the SAC but also of the Scottish Museums Council, and the Scottish Library and Information Council–a cross-sectoral grouping that seems hard to imagine today, when, from outside at least, such agencies seem less conencted than at any time in the succeeding twenty years. And that word ‘Charter’ also has some odd resonances in our current situation, where we have moved from an ‘arms length’ body established by a Royal ‘Charter’ (SAC) to a ‘non-departmental public body’ (Creative Scotland) subject to ‘ministerial guidance’. But for me the strongest resonance is with the model that’s being much debated at the moment, of Iceland’s ‘crowd-sourced’ new constitution. The Charter for the Arts used every means available, at that time, to ‘crowd-source’ its contents and recommendations. Without email, Facebook, or online forums, the traditional methods–of public meetings, sectoral consultations, invited written submissions, and formal interviews–were deployed exhaustively across all sectors and the length and breadth of the land. I was at several of those meetings which were, almost without exception, very well attended, and often quite contentious and disputatious, as much among those taking part as with the public bodies. The outcome was a dauntingly large body of material which officers within the agencies were then charged with distilling and summarising, and then all of it, the summaries and the original material, were handed over to Joyce as a well-informed, but wholly independent, author, to pull together into a coherent document for the widest possible public consumption. Amazingly, second hand copies are still for sale on Amazon. Inevitably, not everyone was going to agree with, or endorse, everything that the Charter contained, but its strength was precisely that it was a personal view, not some anonymous and bureaucratic document. It was also a lot more readable and jargon-free than its successors in the succeeding two decades–the National Strategy for the Arts in Scotland, rushed through after Devolution, and the later, utterly indigestible, report of the Cultural Commission, the document that led, ultimately, to the establishment of Creative Scotland. But, above all, the Charter actually made a difference. Perhaps the most significant change in the culture of the Scottish Arts Council was the new focus on support for the traditional arts, something which has had a profound positive impact on the nation’s cultural life and identity ever since. It can’t be entirely unrelated that Celtic Connections was launched the following year, or that it so quickly became a major fixture in the cultural calendar. The Charter recognised a zeitgeist when it saw one, and the SAC had the sense to act accordingly. Those two documents, the Charter for the Arts, and the HIE Arts Strategy (itself a product of intense consultation and multiple drafts) combined realism and optimism in a way that both won them widespread endorsement, but also made them practical working tools, and, inadvertently, laid solid foundations for when, just a couple of years later, the National Lottery arrived and opened up a spectrum of new funding opportunities. The cultural infrastructure of the Highlands and Islands would be transformed by Lottery funding, but I don’t believe there would have been anything like the impact on the area, if those two strategic documents hadn’t already been in place. So, where are we to look for the inspirational initiatives that will shape the next two decades? If crowd-sourcing is the best way to gather the raw material, who’s going to take the lead? Which agency, group, network, has the confidence, and the respect, to drive such a process? I wish I knew. Very interesting and enjoyable blog. Just to add- the other bodies round the table were CoSLA and Scottish Film Council. David Bruce, Director of the latter, memorably wrote a position paper on the state of film called, ‘Far Are We Noo?’ which he referenced as the motto of the Forfar and District Climbing Club. But to be serious, it was a huge consultation exercise which could be done much more easily today- and interested to see what Jenny has said. The process did work, despite its analogue clumsiness, partly because of Joyce’s wonderful distillation of ideas, but also because it really did get to the heart of things. Many of the recommendations were adopted by the relevant bodies very quickly. Finally I have heard talk of a new exercise being planned, twenty years on– not led by CS. Will be interested to see if this happens. A timely question. Your point about the Charter being a personal view is perceptive, but it also raises a challenge to the idea of crowdsourcing. Perhaps we need both approaches: the personal vision that can rally support by virtue of its own qualities and the crowdsourced distillation of ideas. I do find the Icelandic precedent inspiring and it suggests that how human societies responds to its 21st century challenges may be quite different. The one thing we don’t need – and to the examples of institutional policy failure you mention, I would add the National Arts and Media Strategy of 1991, which died from neglect shortly after birth – is further government attempts at ‘vision’. Competence would be a better place to start.